Sure, we all know the world’s going digital, and it’s true you can’t go anywhere without bumping into people tapping away on their iPads and Smart-phones. But when it comes to doing business, when you’re looking for ways to dig deeper into your customer base and really make something happen … don’t leave print out of your marketing mix. We recently came upon some impressive statistics that bolster our conviction that businesses looking for more customers (and who isn’t?) should keep print in mind. According to studies conducted by the U.S. Postal Service, consumers receiving a printed catalog are twice as likely to buy online as those who do not receive a catalog. And 86% of those surveyed say shopping is easier when they have a printed catalog in front of them. A recent Doremus and Financial Times survey found that 59% of senior executives prefer printed resources over online resources for information, and 60% of these executive turn to print for in-depth analyses. What’s behind this? We believe people still enjoy the tactile experience of handling a paper product—book, magazine, catalog, stationery—not as a replacement for the online experience, but in addition to it. Print and digital is not an “either/or” proposition. Where your business is involved, both forms of media offer compelling benefits—often in ways that complement each other. Thanks to our friends at Utopia Paper for these eye-opening facts. 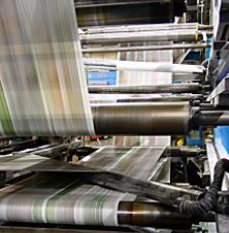 Find out more about how Wells & Drew can help you get the most out of the print option. Contact us at 800-342-8636 or service@wellsdrew.com.